Receives 2015 Best of Carlstadt Award. We have enjoyed 16 years of flawless service for thousands of NJ Limo trips. The professionalism of Bee There for all our NJ Car services & Newark Limo & NJ Limo trips, and their commitment to their clients are outstanding. service to the communities we serve within the Hudson, Bergen and Passiac County area. Chauffeur-driven stretched luxury limousine for special occasions – weddings Limos, office parties, night clubs, the opera, cars for stag nights & hen nights, birthday celebrations, executive travel, concerts, corporate events, to the races or luxury travel to the airport. Travel like a true star with Bee There anywhere in New Jersey or to most major NY destinations in the height of style and luxury. We have 16 years of expertise in providing limousine service for parties, corporate events and all kinds of celebrations. Anywhere you need us to take ??? afford us the opportunity to prove why we are number one. For Newark Limos or NJ Limo, Bee there Limousines standards are remarkable. We have enjoyed 16 years of flawless service for thousands of NJ Limo trips. The professionalism of Bee There for all our NJ Car services & Newark Limo & NJ Limo trips, and their commitment to their clients are outstanding. 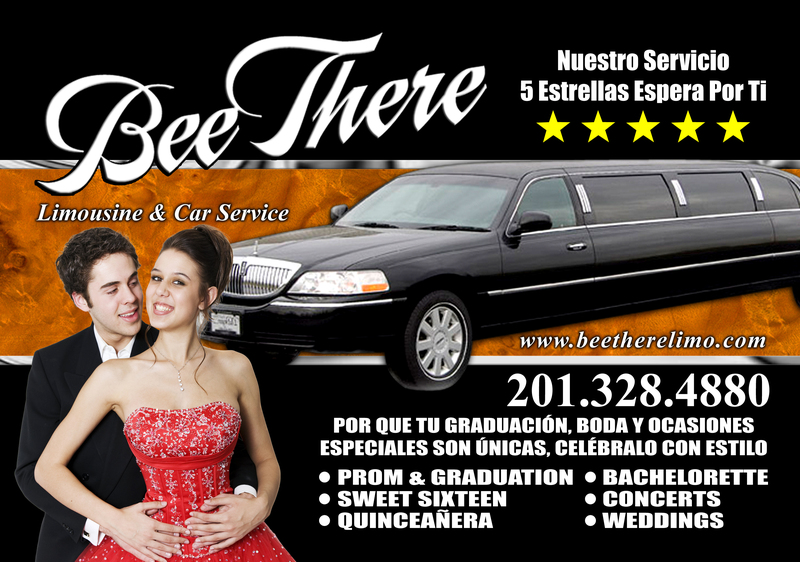 Bee There NJ Car service & Newark Limousine adds value to our firm’s capacity to serve our clients. Welcome to Bee There, where redefining transportation excellence is our goal. We work with every client personally to assure a perfect outcome for your special occasion.